Compact one piece body, fully retained O-ring seal, poppet type check valve. 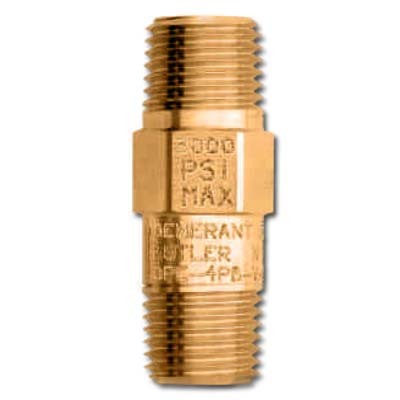 Available in 1/4” and 1/2” NPT in brass or 316 stainless steel. Suitable for working pressures to 3,000 Psig. A wide selection of seal materials and crack pressures make the Series OPC a quality and cost effective solution. All valves are 100% factory tested and available cleaned and packaged for oxygen service.